Scan through any social media app, and youll see pictures of vacations, family reunions, and other typical, everyday events. However, there is also a chance youll encounter pictures of people posing with animals theyve killed, animals theyve hurt, or simply images glorifying violence against animals. Most distressingly, there have been numerous examples of illegal hunting or severe animal abuse posted to Instagram. These images are treated the same way pictures from a childs birthday party are treated, leading to them being celebrated and passed around with no repercussions. Even when arrests have been made over illegal hunting or animal abuse, the images are still allowed to be on the site! The countless bloody and gory images of slaughtered animals are in obvious violation of that rule, and Instagram should hold all users to that standard. Violence against animals is still violence! Help us call on Instagram CEO Keven Systrom to enforce their policy about violent images, and prevent the posting of animal abuse and slaughter! The cultural impact of Instagram cant be overstated. With close to 500 million monthly users, your company has a massive impact on our culture and on how people view the world around them. The images featured on Instagram make waves across the globe, for good or bad. Instagram has always had a comprehensive terms of service agreement for users, but unfortunately, the enforcement of those policies is severely and painfully lacking. Despite the rules against posting violent content, users are inundated with graphic depictions of animal abuse and animal cruelty daily. 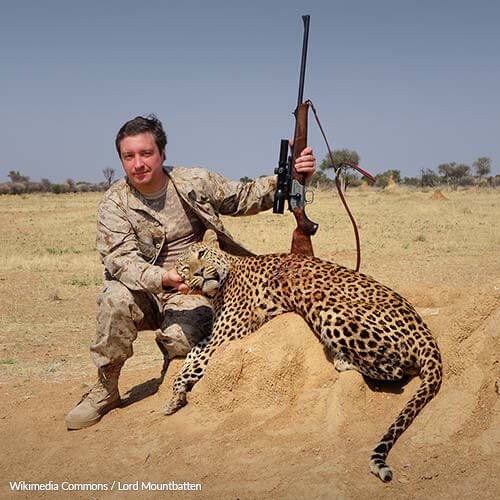 From hunters skinning their prey on camera, to neighborhood kids posing with animals they beat to death, the violence you rally against in humans is on proud display across your site. Allowing these types of images simply normalizes the behavior, and states that violence against animals in any capacity is absolutely fine. Your refusal to enforce your policies is a ringing endorsement for animal abuse across the world. Please help end the violent depictions of animals abuse and cruelty on Instagram, and stand with other social media companies in helping to stamp out this celebration of abuse. That's 8,284 signatures! Let's keep the ball rolling.